Talk about a bad egg! The recklessness, corruption and passion, and all that Jazz come together to scramble the American Dream in the 1920s. The fabulously wealthy Jay Gatsby throws lavish parties to win the heart of his beloved Daisy. Does he win her love? 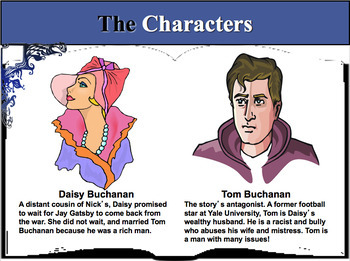 In this day of standards- based Common Core learning, A Novel Advantage™ provides the foundation needed when reading this literary classic. A Novel Advantage™ makes the reading of the epic visible. Applying the learning theories of Lev Vygosky, Howard Gardner, Bloom’s Taxonomy, and other educational theorists, each unit is designed to focus on student-centered learning. 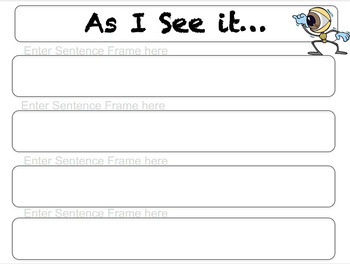 Using a framework that Prepares the Learner, Collaborate with the Text, and Amplifying Understanding (PCA), students are able to take the big ideas of the unit and engage in strategies that make their learning evident– allowing the teacher to focus on what really matters– student learning! 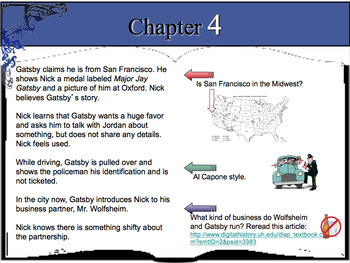 A Novel Advantage™ has woven into to each section, formative assessments that check for the students’ understanding. As teachers/students move through the novel's summaries, these assessments appear once again checking for understanding and comprehension. 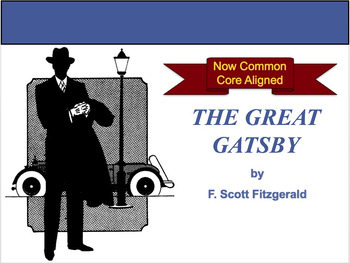 It is everything you need to teach Fitzgerald’s classic all in 111 slides!